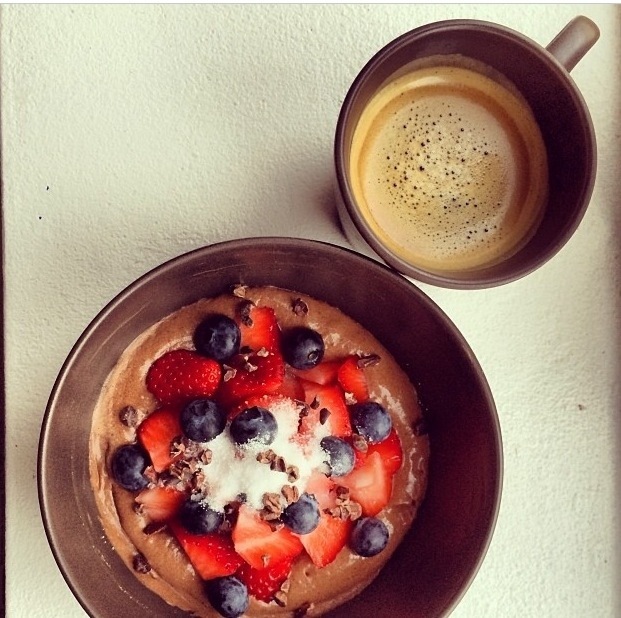 Moccachocolate Coconut Mousse: Christina Storm Fjaere favorite breakfast! Pubblicato daangelsfitness	 21 febbraio 2014 Lascia un commento su Moccachocolate Coconut Mousse: Christina Storm Fjaere favorite breakfast! 1. 50-100ml of fulfat coconut milk in a bowl. 2.Add Flavouring and sweetener of choice: vanilla powder ,vanilla stevia, salt, steva powder,and instant coffee. 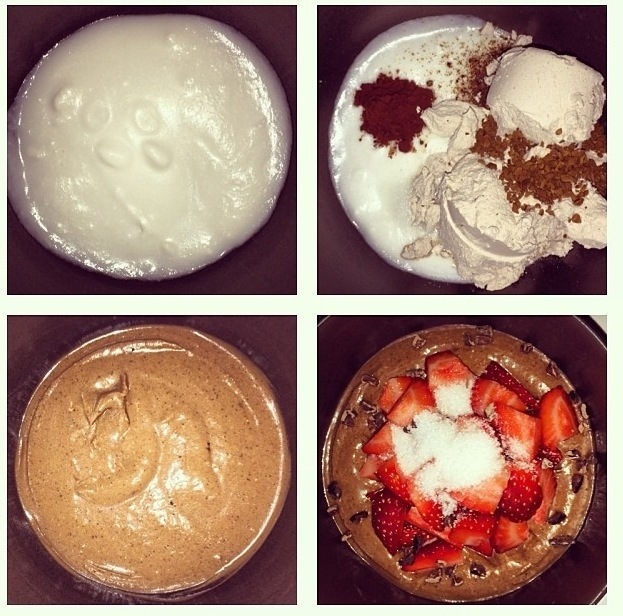 3.Add 30gr chocolate protein powder and casein. Morning cardio and porridge pancakes!